Angela Bassett is set to join Lena Headey and Karen Gillan in the upcoming assassin-centric action movie Gunpowder Milkshake. According to Deadline, the film will span multiple generations, and sport a half-female cast, of which Gillan is the cornerstone. The film will be directed by Aharon Keshales and Navot Papushado, who also helmed the 2014 Israeli hit film Big Bad Wolves. The two also wrote the screenplay along with Ehud Lavski. Andrew Rona and Alex Heineman of The Picture Company will produce as part of their overall deal with Studiocanal. Details of the actual plot aren’t known just yet, but Quentin Tarantino’s Kill Bill and Edgar Wright’s Baby Driver are considered the film’s “touchstones,” which will mix stylized action with violence. Bassett starred in some high-profile blockbusters this past year, including Mission: Impossible — Fallout, Black Panther and Bumblebee. She is a regular on American Horror Story and BoJack Horseman. Gunpowder Milkshake is planning on filming in Berlin this Spring. 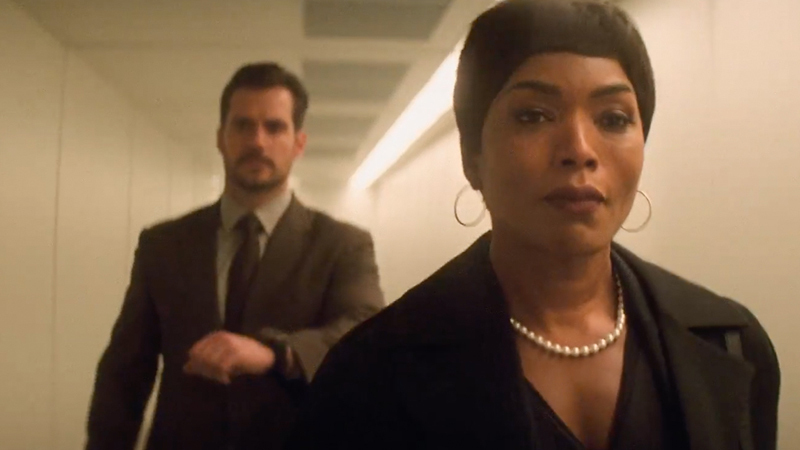 The post Angela Bassett Wants a Gunpowder Milkshake with Lena Headey & Karen Gillan appeared first on ComingSoon.net. 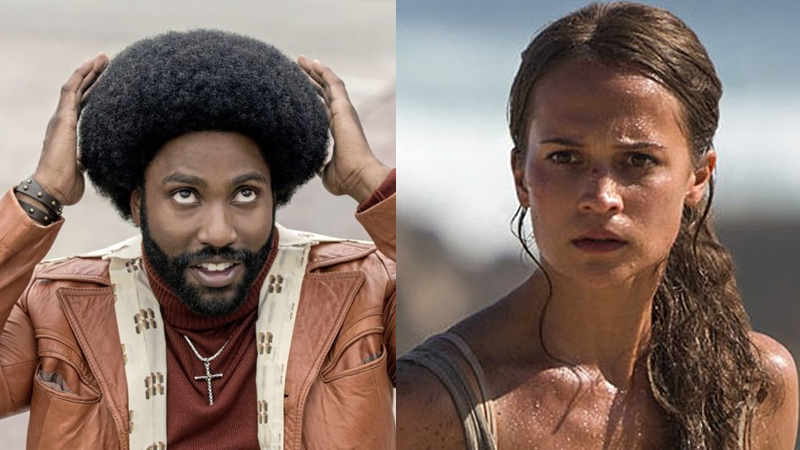 According to Deadline, John David Washington (BlackKkKlansman), Alicia Vikander (The Danish Girl), Boyd Holbrook (Logan) and Vicky Krieps (The Phantom Thread) have joined the Luca Guadagnino production Born to Be Murdered. Much of the crew who worked with Guadagnino on his Academy-Award winning film Call Me By Your Name will join him once more, including cinematographer Sayombhu Mukdeeprom and Walter Fasano. Oscar-winning composer Ryuichi Sakamoto (The Revenant) will score the film. Luca Guadagnino and Marco Morabito will produce via their Frenesy Films, along with longtime co-producer Francesco Melzi and Gabriele Moratti with their MeMo outfit which is also the lead financier. Washington is the star of Spike Lee’s Oscar-winning film BlacKkKlansman and the TV series Ballers. He was also recently cast in Christopher Nolan’s next film for Warner Bros. Vikander, herself an Oscar winner, recently starred in Tomb Raider, which is getting a sequel, and will begin filming The Green Knight soon. The post John David Washington & Alicia Vikander Join Born to Be Murdered appeared first on ComingSoon.net. Deadlinereports that the recent The Rise of Skywalker trailer hit 111 million views within the first 24 hours of release. That number is 20 million more than The Last Jedi registered, and actually more than double the views obtained by The Force Awakens’ teaser way back in November of 2014. The 111 million number, while impressive, doesn’t match the 289 million views the Avengers: Endgame trailer earned upon its release, or even the 224 million viewers who tuned in take a look at Jon Favreau’s The Lion King. The force is still strong with this one. Returning cast members for Episode IX include Daisy Ridley, Adam Driver, John Boyega, Oscar Isaac, Lupita Nyong’o, Domhnall Gleeson, Kelly Marie Tran, Joonas Suotamo and Billie Lourd and even Ian McDiarmid. Joining the cast are Naomi Ackie (Doctor Who), Richard E. Grant (Logan), Dominic Monaghan (Lord of the Rings), Matt Smith (Doctor Who) and Keri Russell (The Americans), who will also be joined by veteran Star Wars actors Mark Hamill, Anthony Daniels and Billy Dee Williams, who will reprise his role as Lando Calrissian. 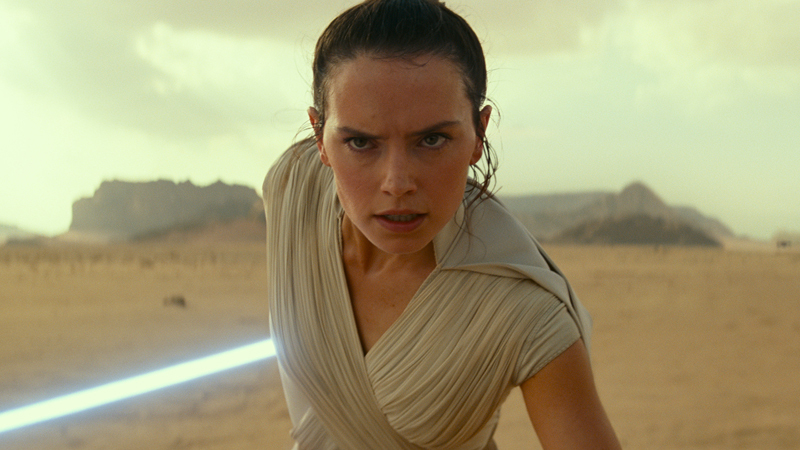 The post The Rise of Skywalker Trailer Viewed 111 Million Times in its First 24 Hours appeared first on ComingSoon.net. Ahead of every James Bond film, EON Productions has typically held a press conference introducing the new movie and its cast to the world. Now, for the upcoming Untitled 25th James Bond movie, the producers and stars will reveal the new movie from an “Iconic 007 location.” You can watch the full video in the player below! Returning cast members for the next James Bond adventure include Daniel Craig as Agent 007, Ralph Fiennes (Skyfall), Lea Seydoux (Spectre), Naomie Harris (Moonlight) and Ben Whishaw (Paddington 2). 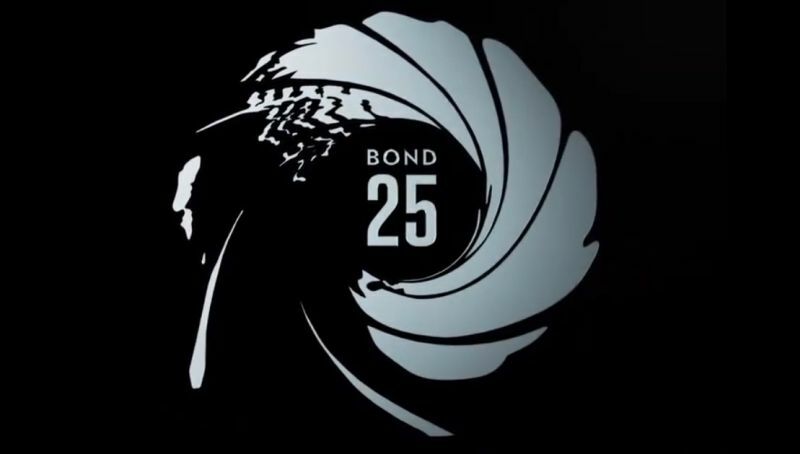 We also know that Italy will be one of the shooting locations for the 25th series in the James Bond franchise. Bond 25 has seen its share of problems over the past year. It was initially to be directed by Danny Boyle, who exited the project abruptly this summer over creative differences. This delayed production while the studio was forced to search for new directors, before eventually landing on Cary Joji Fukunaga, best known for directing the first season of HBO’s True Detective. The as-yet-untitled Bond 25 is due to hit theaters on April 8, 2020. The post Watch the Official Bond 25 Announcement Livestream! appeared first on ComingSoon.net. For the last two decades, MiB has counted on Agents J and K to regularly save the world. But this time, it’s going to come down to Chris Hemsworth’s Agent H and Tessa Thompson’s Agent M in Men in Black: International. 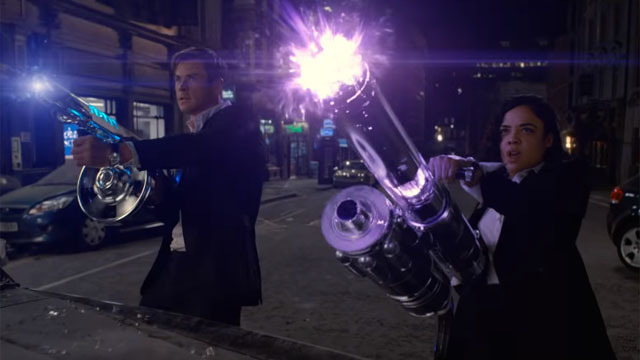 The new trailer has arrived, and it looks like MiB’s greatest threat may come from within. This not a reboot of the three original Men in Black movies. Instead, it’s a true spinoff from that world, with Emma Thompson reprising her role as Agent O from Men in Black 3. But the new authority figure here is Liam Neeson as High T. He’s the man in charge of MiB’s London branch. That means H and M answer directly to him. And while the action begins in the UK, it won’t stay there. There’s an intergalactic conspiracy in play, and it will force H and M to travel the world to unravel it. Fortunately, they make this look good. Men in Black: International will hit theaters on June 14. What do you think about the new Men in Black: International trailer? Let us know in the comment section below! The post The New Men In Black: International Trailer Is Here! appeared first on ComingSoon.net. Still no word on an official address on where fans can write Saint Dog while he’s unfortunately locked up due to parole violation over Marijuana. But that hasn’t stopped Suburban Noize Records And Force 5 Records from helping Saint Dog release new music and merchandise while he’s behind bars awaiting freedom. 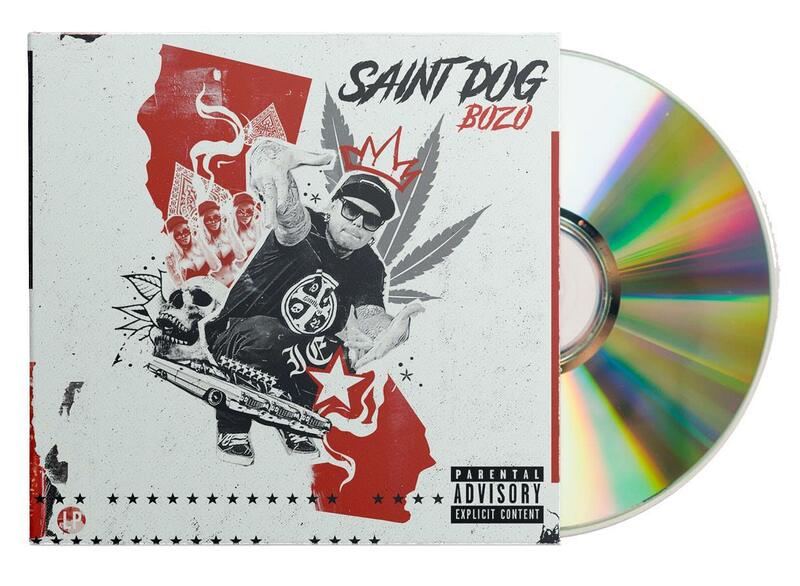 “As you all know, Saint Dog is locked up for a parole violation for Marijuana… but he recorded a full-length album called “BOZO” before he went away, which we are releasing with Force 5 Records. Today, you can pre-order the physical CD album and support the Free Saint Dog campaign in a big way with the new Sub Noize “FREE SAINT DOG” T-shirt. Both are available now in the SRH store. The first 100 orders get a free DGAF beanie too! Order the “BOZO” pre-order bundle now at SRH.com. Or, pre-order “BOZO” on Apple or Spotify here”. Earlier today, Rittz took to his socials and let everyone know about a major accomplishment that has just been made in his 20 year career. He just signed a deal for his label: CNT Records! Now he didn’t go into what the deal was, so my best guess without reading through thousands of comments is that it’s a distribution deal for himself and the artists who are signed to CNT! Hopefully we get some clarification on that, but regardless, he’s hype about it and I couldn’t be happier for him! It’s well-deserved for one of the dopest spittin’, hardest working emcees in the game! Check out his official announcement below. Look for brand new music from Rittz VERY soon! This is Mike McCluskey’s eleventh full-length poem book. It includes forty-nine poems and the story poem “Grim.” Mike takes you into the deepest and darkest confines of his mind. Delving into the thoughts of a madman and inner reaches of insanity. Discover the therapeutic reasons behind why he writes. His own personal therapy and his own personal prescription is penned specifically to himself—the self-medication of a psychopath. Mike injects a positive way to deal with the pangs of a tragic and sad life. This is his escape within his mind that the world tried to keep locked away, trapped like a patient. He became his own doctor, and the patient has escaped! He can see it all clearly now—an artist finding a patient escape and reflects stress when therapy is expressed. The doctor can see you now! About this project: My 1st and most likely last political themed project.. I wrote it between late ’16 – and mid ’18..
I’m going to make this post quick, because ever since I found out, the numbers have already been dwindling! At the time that I’m typing this, there are 15 RV passes and 16 All Star Passes available at JuggaloGathering.com! This may be your last chance to get an RV into Shimmer Forest, and to partake in the flavor that only the All Star pass can bring! So if you thought you got the bone the first time, it’s time to redeem yourself! Just go to https://www.juggalogathering.com/gotjtickets/, add one or both of those to your cart, and check out before they’re sold out FOREVER! Earlier today, Mr. Grey of Gorilla Voltage dropped in on his social media accounts to reveal the 14 song track list to his upcoming solo: Vicious Vendetta! We’ll bring you more info on this release as soon as it’s available!